Job hunting doesn't have to be so intimidating. Here are 4 solid ways you can set yourself up for success to land a position in your desired industry. It’s no secret that job hunting is one of the most nerve-wracking experiences. Between polishing your resume, knowing where to start your job hunt, which tools to use, and how to take advantage of your network, finding a new job can be overwhelming, to say the least. But whether you’re just getting started in the working world or unhappy at your current place of employment, landing the right job for you is one of the most rewarding feelings, and worth all the hassle. Want to maximize your chances of landing a great job in your desired industry? Check out these four tips. Have you ever heard the phrase, “there’s power in numbers”? Well, if you’re looking for a new job, you should take these words to heart. Once you’ve decided which industry you’re interested in, you can use tools such as Easy Apply on Linkedin to apply to countless jobs in a short window of time. Just be sure to filter your search by location, industry, and experience level. That way, you’ll be able to peruse and apply for jobs that are geared towards you. Even though there’s power in numbers, simply getting your resume out there typically isn’t enough to land your dream job. Because if your resume doesn’t check enough boxes, it may never make it into the right hands. For this reason, tailoring your resume by job description is one of the smartest moves you can make. Though it’s tempting to apply for many different positions using identical resumes, no two jobs are exactly the same – even within the same field. So by sending in identical resumes, you’re doing yourself a disservice. Prior to submitting a job application, be sure to carefully read over what the company is looking for. What kind of experience are they looking for? What about strengths and skills? By looking into this beforehand, you can tweak your resume to highlight the experience you have that best aligns with each job description, which, in turn, increases your chances of landing an interview. When looking for a job, it’s also essential to be strategic about location. If you hope to work in marketing, for example and have a background in sales, you should geographically filter your job search to areas where your background is valued, like Atlanta, Charlotte, or Chicago. Or, let’s say you’re a nurse. Why not look into nursing salaries state-by-state before deciding where to start your job search? By practicing a little forethought, and strategically filtering your job search by location from the start, you’ll avoid disappointment down the road. Even if you have a polished resume that checks all the company’s boxes, and only apply to jobs in strategic field-specific locations, this still may not be enough to land you your dream job. You’ve probably heard the fundamental business rule, “people conduct business with people who they know, like, and trust.” And it’s true. If you have a personal connection at a company you’re interested in working in, use it. Companies get hundreds, sometimes even thousands, of applications for the same position. 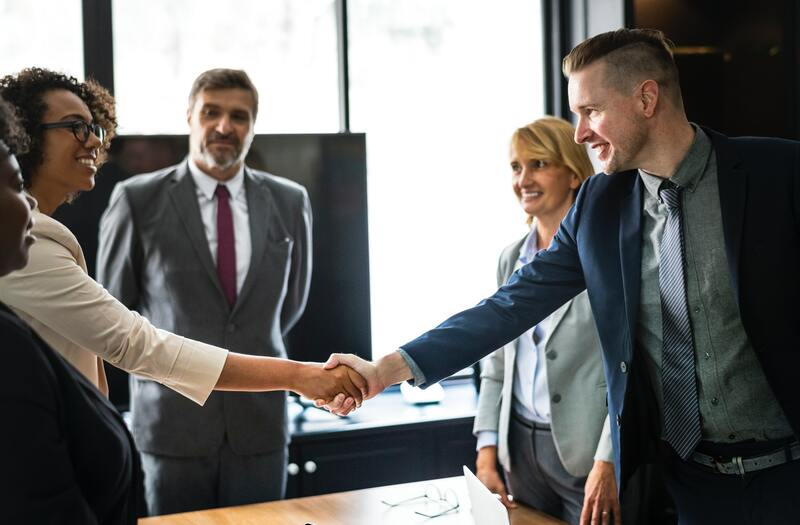 So, if your network encompasses employees at companies you’re interested in working for, this gives you a natural advantage from other applicants who might lack that level of personal connection. And even if you’re new to the working world, and think you don’t have enough connections to start networking, think again. Your alma mater alone can provide you some incredible networking opportunities. LinkedIn even has a feature that shows you when people within your alumni network have landed jobs at companies you’re interested in working for – use it. I'm a business and lifestyle writer who loves horror movies, small dogs, and unashamedly, avocado toast.